Remembering the deaths of Ayrton Senna and Roland Ratzenberger, FIA President Jean Todt says the sport must never become complacent about safety. Though meeting with the teams and Bernie Ecclestone in the UK to discuss how best to address spending, the Frenchman's thoughts were on the other constant in motor sport, safety. Though much has improved in recent years, mainly the direct result of that dreadful weekend in 1994, much more still needs to be done. 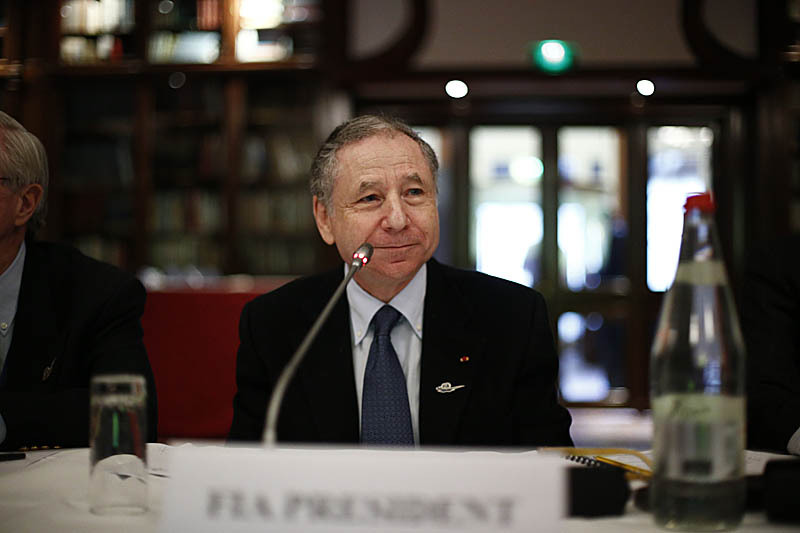 In an address read by Angelo Sticchi Damiani, President of the Automobile Club D'Italia, Todt said that the four-day commemoration in honour of Senna and Ratzenberger was important as it not only allowed fans to celebrate the drivers' achievements but also served as a reminder that safety developments must pursued at all times. "Looking back at the tragic events of 20 years ago reminds us that no matter how much we may feel that motor sport safety has reached an exemplary level, no matter how secure we may feel that injuries and fatalities are a thing of the past, the battle for completely safe racing is never won and that we must continue to fight for improvements every day. "The untimely deaths of these two superb sportsmen served as a wake-up call for all of us," he continued, "and perhaps the greatest legacy of Ayrton and Roland is that in wake of that dark weekend in 1994, the pursuit of safer motor sport, in all its forms, received greater impetus than ever before. Indeed, the high range of improvements made over the past two decades is among the most significant seen in our sport. "Cars and circuits are now safer than ever before," he added. "Even in the event of violent accidents such as those that befell Michael Schumacher at Silverstone in 1999, Robert Kubica in Montreal in 2007, Felipe Massa in Budapest in 2009 and Mark Webber in Valencia in 2010, the technologies Formula One has instituted have ensured that such horrific incidents are survivable." However, while safety standards in F1 have clearly improved, he pointed out that other disciplines continue to see serious injuries and fatalities. "It is with regret that I have to note that while Formula One has become a much safer environment, other forms of motor sport still see serious injury and fatalities every year and once again, this is proof that we must always be vigilant and that we must always seek to improve safety standards. "While the technologies developed for motor sport are often specific to the track environment many developments have positive benefits for road safety. Safer helmets and restraint systems; crash barrier research; use of data recorders; passive safety and active telemetry, all are examples where cutting edge motor sport safety research is making an important contribution in the fight to save lives on the road." 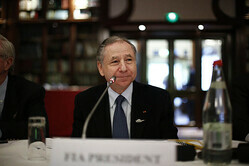 Todt concluded by saying that such advances were the "lasting legacy" of Senna and Ratzenberger. "While memories of their great races, their thrilling victories and glorious championships will never fade the sad truth is we can no longer reach out and touch the men who gave us those memories," he said. "We can, however, touch, talk to and laugh with the countless drivers, on the track and the road, whose lives have been saved thanks to the improvements in safety brought about as a result of the tragic loss of Ayrton and Roland and for that we owe them both a profound debt of gratitude." "Debates on Jerez '97 on the Pitpass comments. Is it 2003? ;)"
"Is it possible for the sport to be too safe? Much of the "thrill" of racing for both the fans and participants is the close contact with danger. Consider ultimate safety could be that the cars are all remote controlled and the "drivers" are all along the pit wall with their RC units. As safety has improved over the years, some drivers have had more cavalier attitudes about making contact with another car. Schumi trying to punt Villeneuve off the track in 1997 comes to mind. Food for thought..."